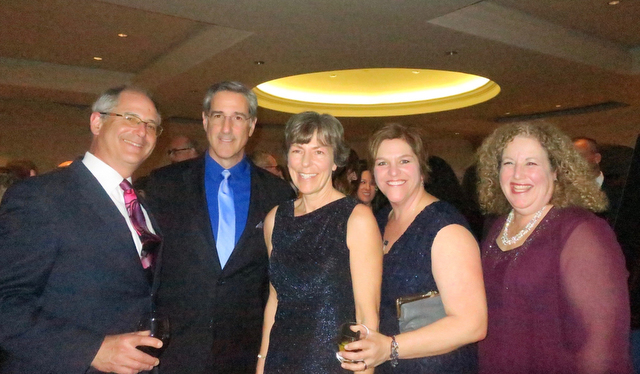 Rabbi Steve Cohen, Cantor Mark Childs, Marian Cohen, Executive Director Elizabeth Gaynes, Board President Judi Koper. 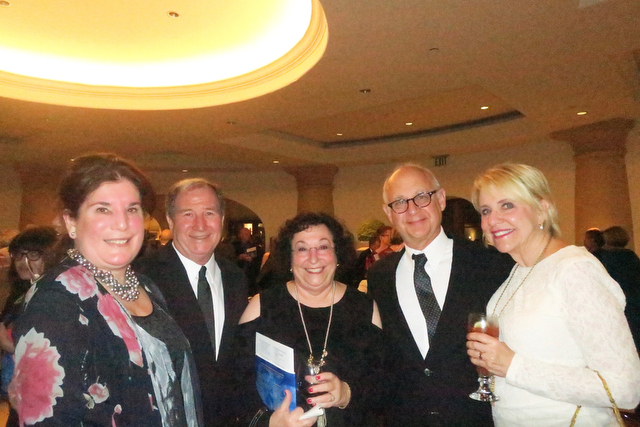 On Sunday, January 22, Congregation B’nai B’rith (CBB) held a Chagall-inspired Dreamers Ball at the Bacara Resort & Spa to celebrate the 25th anniversary of service by Cantor Mark Childs and the 90th anniversary of the synagogue. 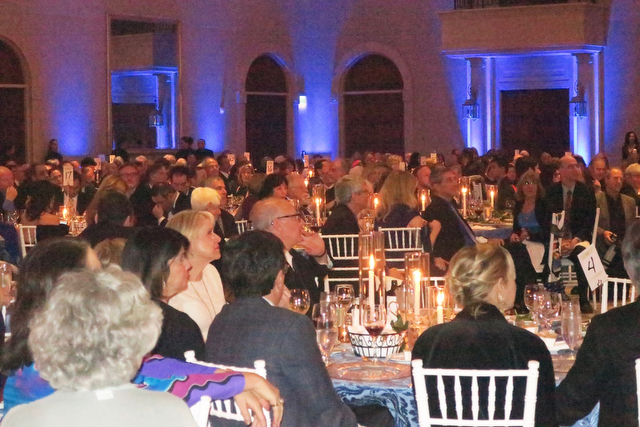 A sold-out crowd of 450 supporters turned out for this elegant affair, which began with a cocktail reception with We the Folk setting the mood with fun, lively music. 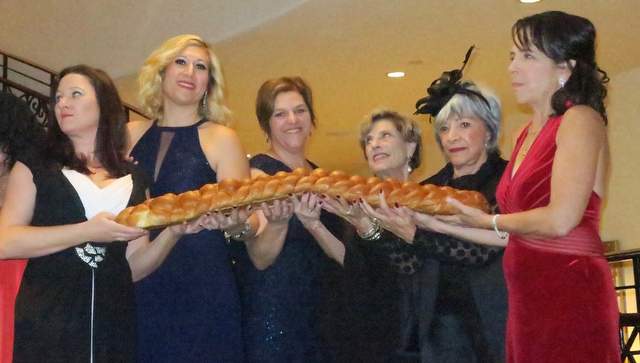 A motzi (blessing over challah bread) was lead by Cantor Childs and the Dream Team Co-Chairs Hallie Avolio, Elizabeth Fineberg, Ruth Hartzman, Judi Koper (Board President), Adele Rosen, Liat Wasserman, Marcy Wimbish, and Elizabeth Gaynes (Executive Director). 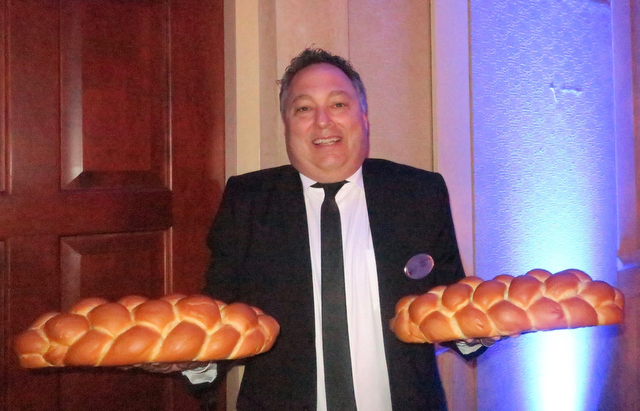 The Co-Chairs graciously held a several foot-long challah on the grand staircase while throngs of guests snapped pictures of this lovely, festive scene before the bread was passed through the crowd. Good cheer permeated the venue. 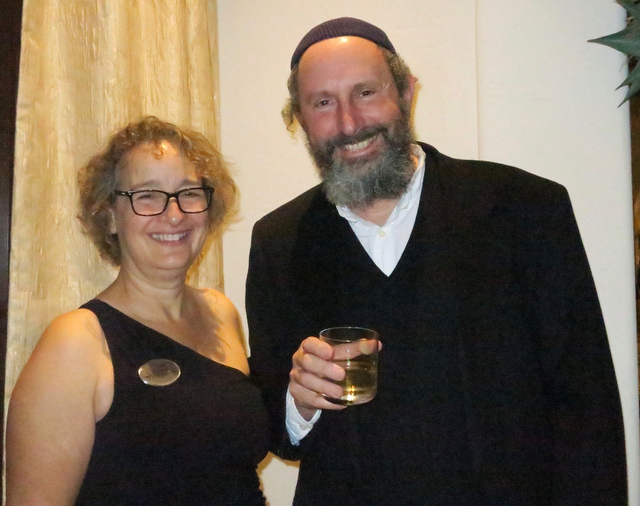 At dinner, guests were greeted by CBB Board President Judi Koper and Rabbi Steve Cohen. 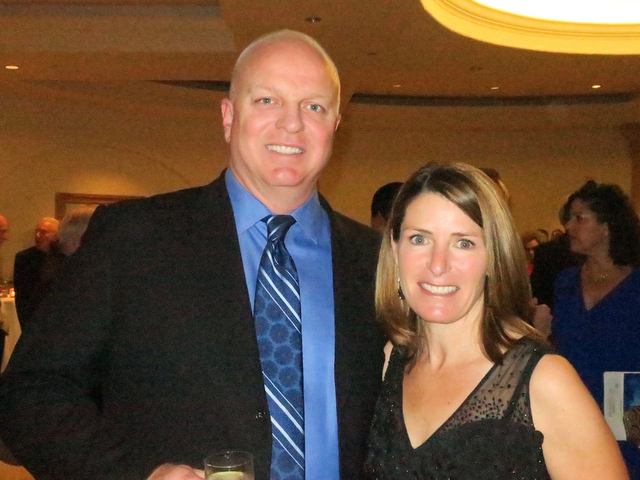 After a tasty three-course meal, Cantor Childs was honored for his 25 years of service. Childs’ work extends throughout the synagogue and beyond into the community. Among his community commitments are as the Jewish liaison with the Santa Barbara Interfaith Initiative, chaplain at Cottage Hospital, spiritual advisor at many assisted living homes, and consultant with Showers of Blessings, Anti-Defamation League, and UCSB Hillel. For more information about Congregation B’nai B’rith, go to cbbsb.org. 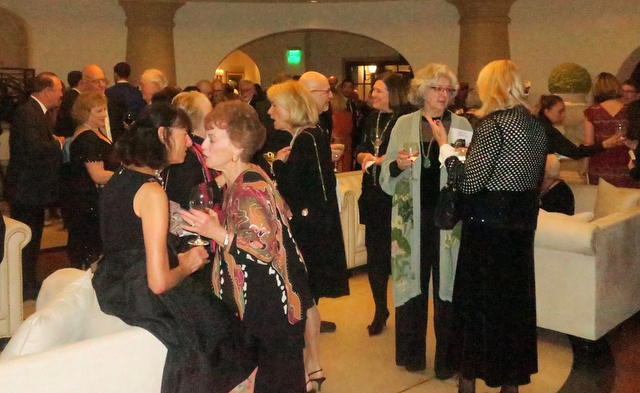 Guests enjoy the reception before dinner. Sponsors Mike and Nancy Sheldon. County Supervisor Janet Wolf, Board Member Harvey Wolf, Board Member Rachel Wilson, Dr. Bob Gaines and Andee Gaines. 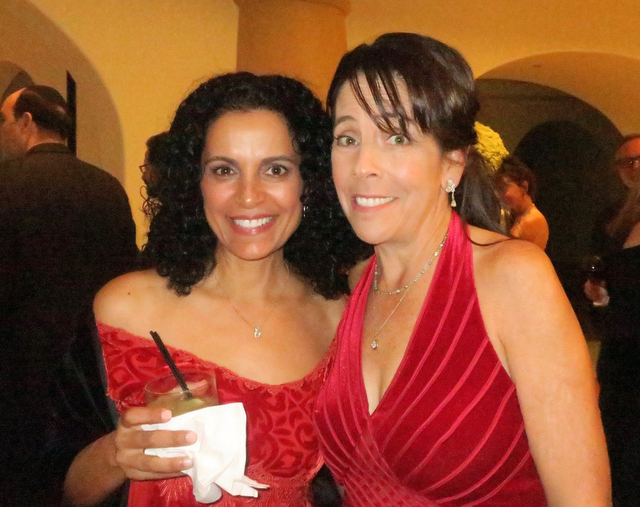 Two of the Dream Team Co-Chairs: Liat Wasserman and Marcy Wimbish. 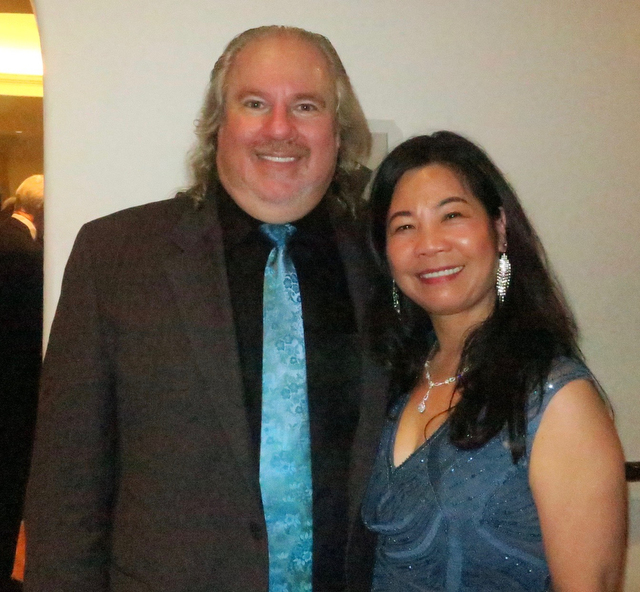 Daniel Hochman (founding family), and Mandy Hochman. The excitement before the Motzi. Eventa Co-Chairs: Elizabeth Fineberg, Hallie Avolio, Executive Director Elizabeth Gaynes, Ruth Hartzman (founding family), Adele Rosen, and Marcy Wimbish. 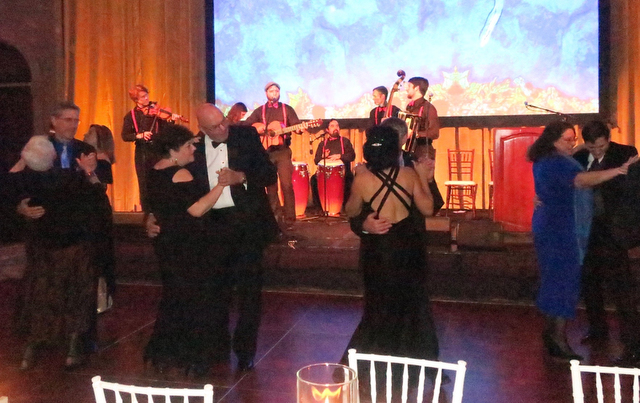 Guests dance while We The Folk performs. Lori Weiss and Rabbi Elihu Gevirtz.